Our original 230 California almond growers pooled their resources and formed a cooperative to benefit growers — an agricultural innovation of the time. 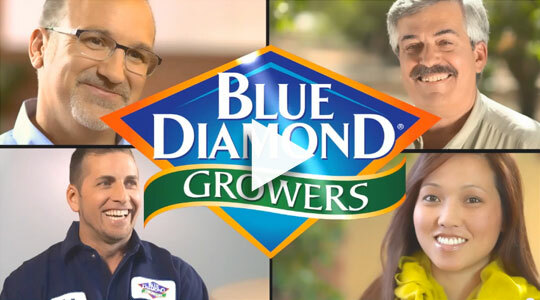 Today, Blue Diamond Growers represents more than 3,000 California almond growers — the state that provides over 80% of the world’s almond supply. We are one of the most recognized food brands in the world, with annual sales exceeding $1 billion. After more than 100 years, our culture continues to reflect our five core values: Act with Integrity, Work as Partners, Deliver Quality Everyday, Innovate! and Play to Win. Working as a team to realize the best return on our growers’ investment. We win and celebrate as a team! Our commitment to excellence has driven Blue Diamond’s unprecedented growth, innovation, high quality, and value. You’ll find these values at work throughout our company. We strive for a diverse workforce, always aiming for greater levels of inclusion. We are proud that so many of our growers use sustainable environmental practices like open-space and wildlife-preservation, water conservation, and integrated pest management programs. In addition to a robust benefits package, we offer an employee wellness and fitness program, in which a majority of our workforce currently participates. We are pleased to announce that we have been recognized by the American Heart Association as a Gold Level Fit-Friendly Worksite. 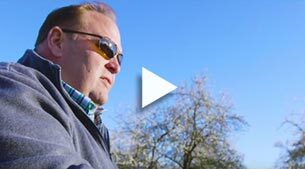 Read what our CEO, Mark Jansen has to say about the Blue Diamond workplace in this article on “Leadership” in Smart Brief. Grow your career. Partner with us. Blue Diamond Growers is an Equal Opportunity Employer.